Scholars gained exposure to real-world construction and design work as it develops. 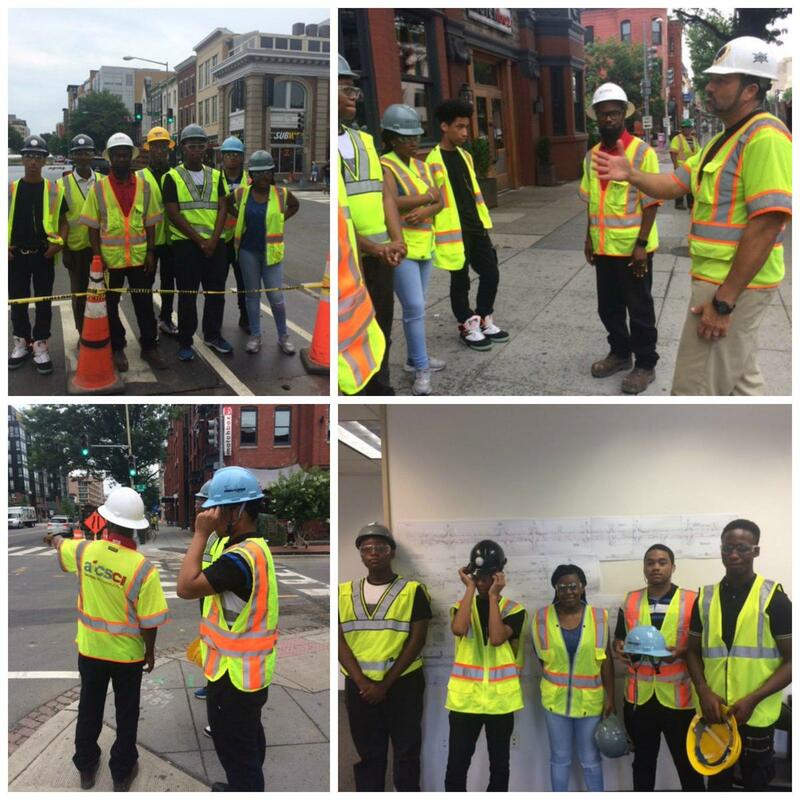 Five IDEA ACAD scholars who are employed through the DC Summer Youth Employment Program are performing work on the Tiny House project and receiving exposure to careers in the construction industry. On July 6 the group toured one of the project sites of ATCSCI on 14th Street NW. The group was invited to attend the open house of ATCSCI (ATCS Capital Infrastructure PLLC) at its DC headquarters, to celebrate its one-year anniversary in DC. According to ACAD instructor Dennis Chestnut, "the ATCSCI Project is $17 million DC Department of Transportation Capital Infrastructure Streetscape project on 14th St. NW that goes from Thomas Circle to Florida Avenue. The project aims to create a safer, more livable, sustainable, and attractive corridor." The project will include improvements to pedestrian safety rideability, and utilities. 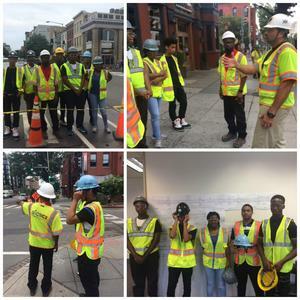 "This field trip was designed to expose the ACAD Summer Interns to construction careers and show the scope of the construction industry and the various aspects from a tangible on the ground experience," Chestnut explained. "The interns were able to interact with construction professionals, ask questions, and get up close with the techniques and practices in the field." "The interns were invited to the company open house taking place a few days later, where they had the chance to meet, interact, and have conversations from many of the behind the scenes professionals that make the construction industry and a project like this work."